Colored pencils” are enjoyed not only by children but also with adults, especially with the rising popularity of coloring books for adults. 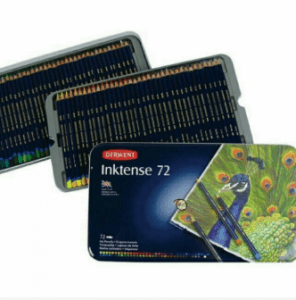 A lot of products are available now, from brands that are familiar to us like Faber Castell, to high-end brands like Derwen, Staedler or Prismacolor. Color variations from sets of 12 or 36, to the 72, some products can even give you a watercolor effect. Too many options that can be confusing at times. We will compare the products, their reviews and prices available online, and show you the most recommended items in rank order. There are affordable ones with high quality, products that can be given as a gift, and a lot more. At the last part of the article, we will also show you the tips on effective coloring, hope you can use this as your reference in enjoying your illustration and coloring books. First, we will explain to you the pointers in choosing colored pencils. There are two types of colored pencils: oil-based and watercolor. Each type has its own characteristic, so choose one depending on your needs. 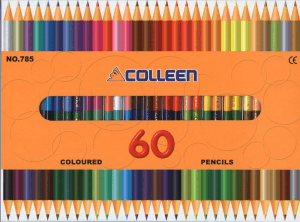 Oil-based colored pencils are the most common colored pencils used by everyone. It contains colorant and wax for high pigmentation and can also repel water, making it visible even after you use watercolor on top of it. Also, they are relatively softer than watercolor pencils, for easier color layering. The downside is you won’t be able to erase them with your usual eraser, but you can use a blur tool that is specifically made for colored pencils. 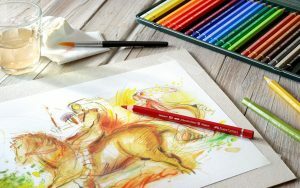 The strength of oil-based colored pencils is that it can be enjoyed by kids to adults, and even professional artists, we highly recommend it to those who are looking for something that can be used by everyone in the house. 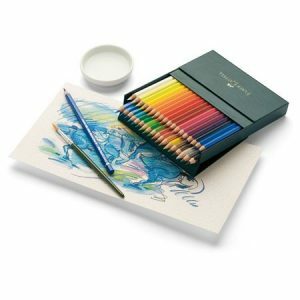 The best feature of watercolor pencils, or watercolor pencils is that it is water soluble, making it easier to blend. It doesn’t require a blurring tool like the oil-based ones, and you just need a wet watercolor brush, and you can make gradation with it. The lead is usually hard, it will let you draw fine lines as fine as a cat’s fur with it. Some of you may think, “isn’t a watercolor enough?” but there are techniques that can only be used with watercolor pencils. It can have lower pigmentation than oil-based pencils, so we recommend it more to experienced users. 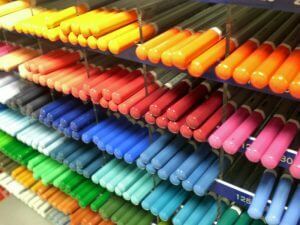 There are colored pencils with 12 colors, 24 colors, and there are products with 100 colors or more. It will be best to check your level and your needs, before choosing what to purchase. 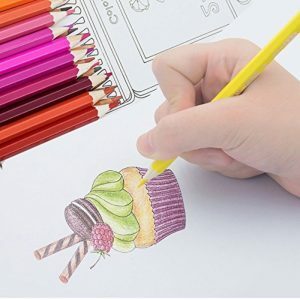 For a child’s coloring book, a 12-color set might be good enough, but for adults’ coloring book, it will be more convenient to choose a 36-color set in order to express subtle and delicate shades. For sets that contain more than 36 colors, the case will become bigger and harder to bring along, and beginners might find it harder to distinguish one color from the other. For those who are planning to sketch outside and beginners in coloring, it will be best to choose 36 color set and if you find yourself looking for more color, then that is the time to make a purchase. Unless there are a lot of colors that you need and can’t find on your 36 color set, then it might be better to choose a product with more colors from the beginning. Colored pencil leads are either “Hard”, “Medium”, and “Soft”. The hard ones have less pigmentation, but will let you draw the finest lines, so we recommend this for detailed coloring/sketching. The ones with soft lead, have high pigmentation great for coloring a wide area, though they tend to shed pigment powder. You need to keep in mind though, that these factors will be dependent on your pen pressure or coloring style, so the lead softness is just your guide. Having said that, it will be best to test them out first before purchasing them, but it is rare to have colored pencils out for testing. If there are products sold separately, try buying just one and test them out before purchasing a set, to make sure it matches your style. One problem with colored pencil sets is that some will become shorter than the others. There are brands that have separately sold items, you can buy just the color that you need. You can buy from other brands too, but for those who find the small difference in pigmentation and lead softness uncomfortable, we suggest buying a set from a brand that sells individual colored pencils. We will now show you the top items in rank order. Keep in mind the pointers we discussed, and hope you could find the perfect item for you. What makes this product unique is that it doesn’t use wood, saving the trees for our environment. The lead is 7.2mm and is very soft and highly pigmented. Since this can give your artwork a rich color with just a light touch, it is more recommended for adults and pro artists, than with children. The lead is coated with a special lacquer sheath to keep your hands clean. It can still be sharpened with the regular pencil sharpener, so no need to worry about that. This product has all kinds of colored pencils, and lets you try all of them at once! 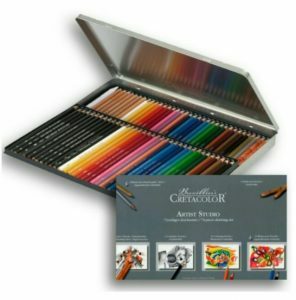 It has a total of 72 pieces, 24 colored pencils, 24 watercolor pencils, 12 graphite pencils, 7 artist’s pencils, 2 metallic colored pencils, 2 multi-color pencils, and a blending stick. This can also be a great gift for your child who is starting to become serious with their art! All kids are born artists, why not help them develop their skills with gearing them up with the right tools. This product is popular for families with children because of its anti-break system coating that protects the lead from breaking from time to time. Children tend to write stronger than required because of the lack of their control, making it easier for the lead to break, but not with this product! This also comes with a paintbrush that you can use when you want a watercolor finish to your work. It can be a good learning experience for kids too, to see the finish change by just adding water. 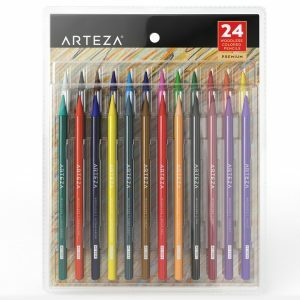 This product has 30 dual-ended pencils with 60 different colors, and the good thing about that, is having more color options without increasing its weight. This can be a great factor for who like to draw landscapes outside, or schooling kids who need to bring their colored pencils every day to school. 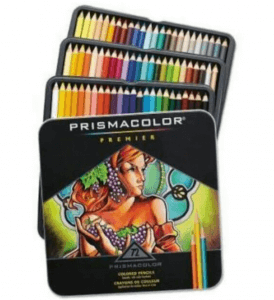 This may not be the best for you if you are aiming for artist quality colored pencils, but has a soft lead with high pigmentation that is good enough for a relaxing coloring session every now and then, and of course perfect for your kids too. Colored Pencils that Need No Sharpening! 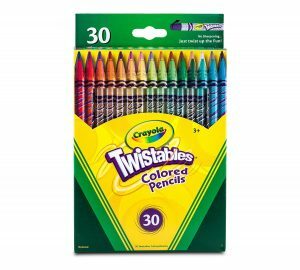 Crayola is a very famous brand for crayons, and with this product, they were able to combine the colored pencils with one of crayons’ greatness: no need to sharpen them! Just twist them, and you’re ready to go. A great item for moms and dads who are tired of sharpening their children’s colored pencils when they break the tip every few minutes. No sharpening also means no mess on the floor! Hits two birds with one stone. A total must-have for parents who enjoy coloring with their kids! 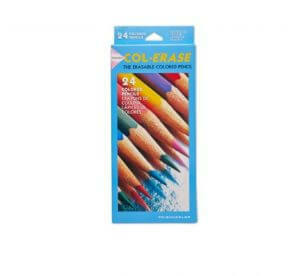 This is one of the special erasable colored pencils available on the market, but what makes them unique is that they have a built-in eraser, just like a regular Mongol pencil. This will be best for those who are looking for a product that you can use to take down notes, or draft sketching where a lot of erasures will be part of the job. This may be a great tool as well for students to help them with their studies and taking down notes. Using a lot of colors in their notes will not only help them remember the details more but will also make it more fun for them. 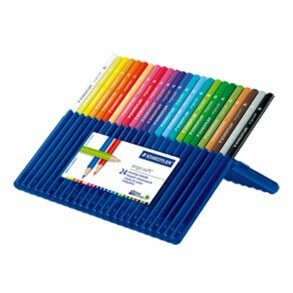 Since they are erasable, no worries of having a messy notebook! 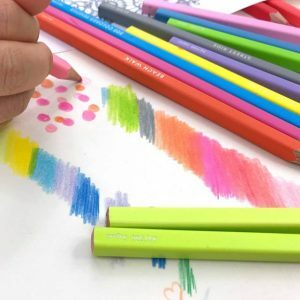 This is one of the most famous all-around colored pencils in the market, as it is affordable and does all the work that a color pencil is supposed to do. It has a hard lead that makes it easier to draw fine details. This can be your starter set, or your spare set for doodling or coloring books so you won’t need to waste your expensive set of pencils. We recommend this product to a wide range of users from children to adults, for school or hobbies, for home or for work. It might not be the best one though, if you are a professional artist and need to create articulate designs. 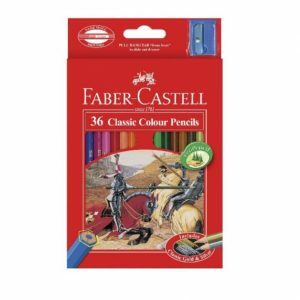 This product has been an all-time favorite of art school students, illustrators, and designers. What they love about it is its versatility, wherein you can use it like your regular pencil, or use water to mix and blend them together. The color becomes permanent once they dry, allowing you to apply multiple coats for more vibrant colors. Just make sure you use it on thick paper, as thin papers can curl and wrinkle when soaked in water. 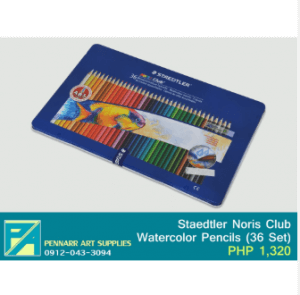 We recommend this for those who want to level up their artwork by combining the use of colored pencils with watercolor. The reviews of this product mentioned its creamy and vibrant colors that you can achieve with just a few strokes because of its softcore. This product’s quality is as high as the famous illustrator Jahanana Basford recommended it. Also, when compared to its competitors with the same quality, this product has a relatively lower price. This product has an ergonomic triangular shape that will not tire your hands, highly recommended for those who frequently color or draw for longer hours, or even for kids who tend to hold their pencils too strongly. It has a non-slip surface that will also help children when using this product. This product has been the top product in many rankings, made by illustrators, artists, and many more. Users love how this product can give you a professional grade color that is very vibrant and creamy, even if you’re just starting out the hobby of adult coloring books. It has an extra smooth texture that glides well with almost any kind of paper, that has great coverage and blends well with other colors. This product will be a great investment for those who take their hobbies seriously, and if you plan on developing the skills in time too! If you want to express depth in your artworks, try combining and blending the lighter color and the darker color that serves as the shadow, and the color in between them. For example, if you want to color a leaf, color the entire leaf with yellow, color the veins and shadow with green, and use the color in between them little by little until you achieve the desired touch. The technique is to color them lightly. Make sure to avoid coloring too much at once, to avoid mistakes. If you want to show a part that touches the light, you can also use an eraser afterward. Oil-based colored pencils can’t be erased by erasers, so use this as an advantage of giving your work a natural-looking shine. Hope you could try this out! How was it? The products we showed you all have high reviews. 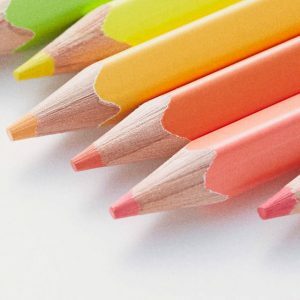 Though you need to keep in mind that the way you write and color will hugely change how they work, and a lot of people use colored pencils for different purposes. To make sure you won’t mess up, you need to check them out and try writing with them before purchasing. Enjoy a colorful life ahead!